Gitesh is 3 years old and enrolled on Egg Dot back in Autumn 2014. His mother Anita was worried about how low his weight was and had noticed that he lacked the energy of his 3 older siblings at the same age. In joining the programme, she hoped simply to increase his weight, but discovered that the programme offered a lot more for herself as well. I am so grateful for the education and workshops. Gitesh has gained 2.5 kilos and is a healthy and happy child – now he joins in with his brothers and sisters and they can all play together. “I was very excited to be involved in this project – I hadn’t seen an NGO do this type of work before and there was such a great need for it. The results are really beautiful; it’s been a great success. The problem of malnutrition in rural Maharashtra has a lot to do with the fact the rural areas are so remote. This combined with poverty, lack of education and an unavailability of food. In India we have 44% malnourished children. I felt compelled to do something about this I think that everybody should do something good for their country and because of my special interest I feel I can work in nutrition and help the malnourished children of India. 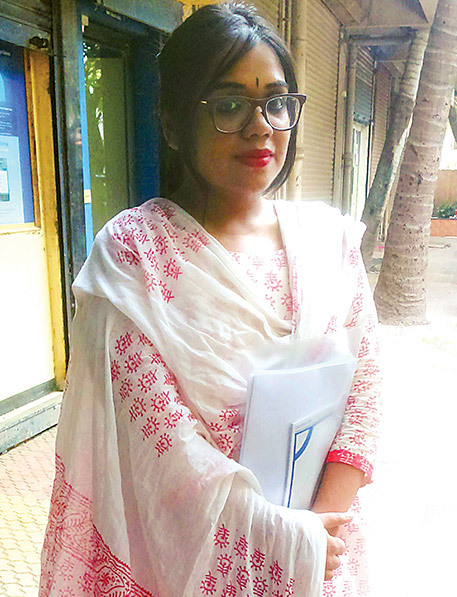 Shalu was 22 when she joined the HAMSAB programme. She lives in the deep forest area about 3 ½ kms away from the gate of the National Park where auto rickshaws are prohibited. There is no general hospital or maternity home close by. Her home is exposed, a simple hut built from mud, cow dung and wood. Shalu lives with her father-in-law, husband and their two-year-old daughter. When she joined HAMSAB her haemoglobin count was very low and her daughter also very weak but due to the ill health of her father and husband, she had to take on the earning responsibility in the household and works as a manual labourer. Shalu went into labour at midnight so there was no other option but to deliver at home. The following day she was able to visit the hospital for a full check where they both received up to date immunisations. Since then, both her children have been developing well and are receiving a nutritious diet. 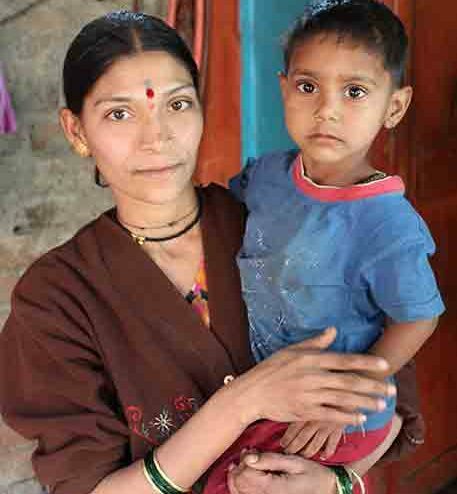 Shulu still works from 8am till 6pm, but with the support of her wider family, she still finds the time and energy to attend the nutritional and health hygiene workshops to make sure she is giving her children the best start in life.